State Media Briefing, together with the Department of Government Information – Environment Foundation (Guarantee) Limited. 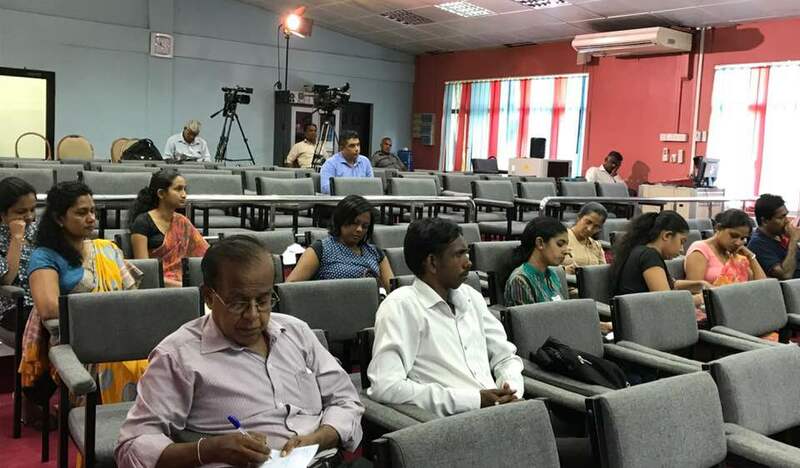 EFL, together with the Department of Government Information held a press briefing for the state media journalists on the 7th of September 2018. 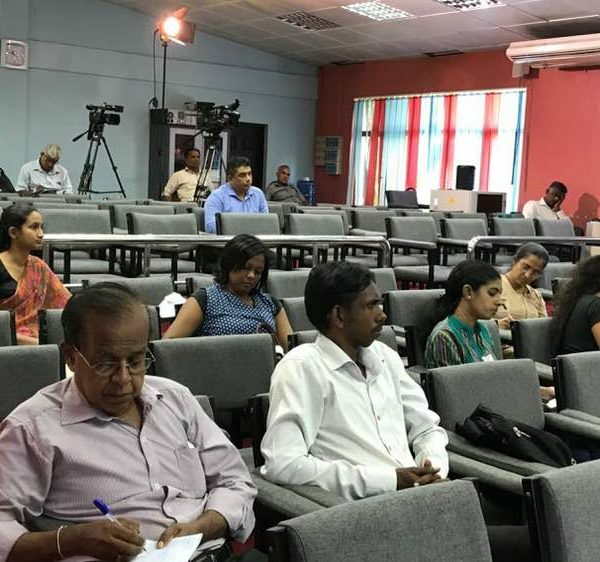 The main purpose of this briefing was to educate state media journalists on current environmental issues in Sri Lanka and to broaden their perspective on the impact of these issues. At the same time, the briefing was also held in the light of encouraging journalists to give more prominence to reporting about environmental issues in order to raise more awareness amongst the general public. 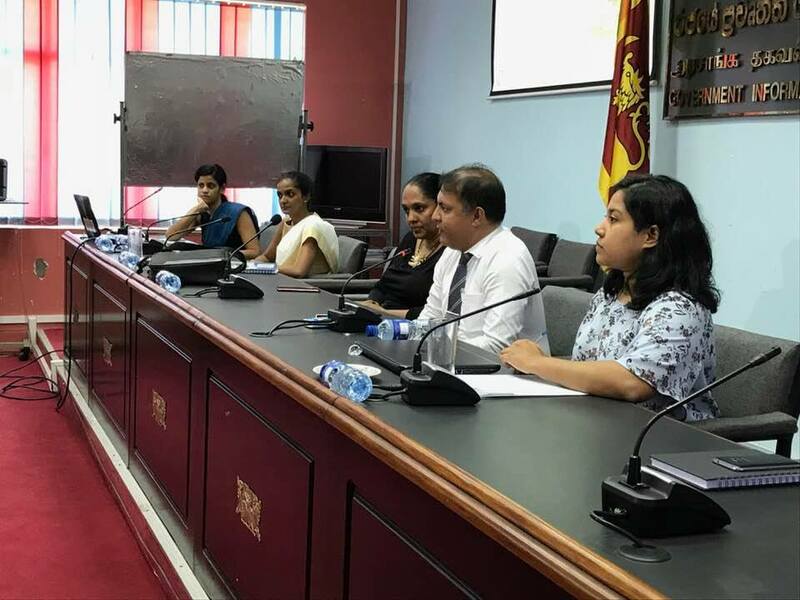 The briefing was hosted by the Director General of Government Information, Mr. Sudarshana Gunawardana, Attorney at Law, The Media Secretary of the Ministry of Justice, Mr. Harsha Abeykoon, an EFL director and scientist Dr. Sevvandi Jayakody and by the rest of the EFL team. The briefing commenced with an introduction by Mr. Harsha Abeykoon on why reporting about matters related to the environment has become pivotal at present. 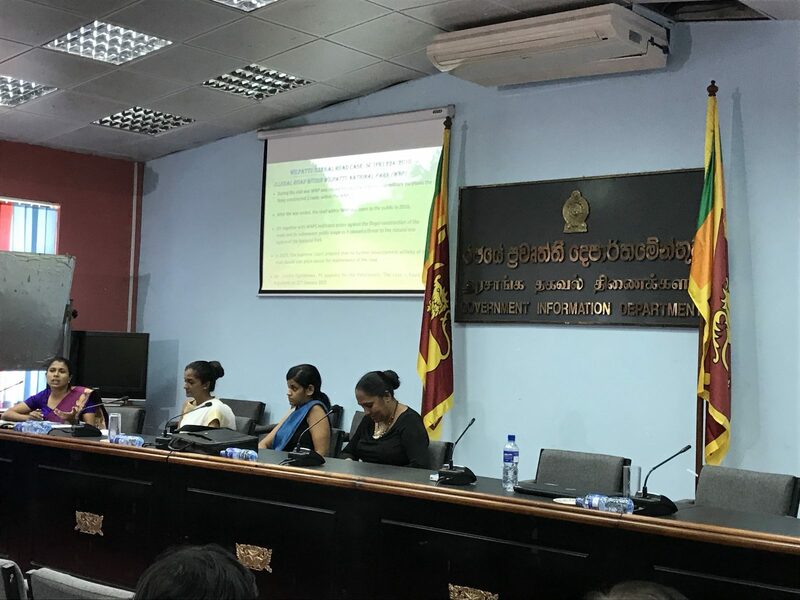 Then EFL Communications Officer Tharanga Gunawarndena, presented a general overview about EFL explaining its mission and how we are committed as an organisation to conserve and protect Sri Lanka’s natural environment through legal and scientific means. She also demonstrated the journey EFL has had so far mentioning the organisation’s reputation in national policy intervention and to what extent EFL is involved in raising awareness about environmental matters among different sections of the society involving both public and private organisations and the youth. 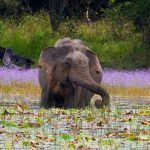 Then, Dr. Sevvandi Jayakody elaborated on a number of pressing environmental matters in Sri Lanka going beyond popular environmental issues such as the human elephant conflict. 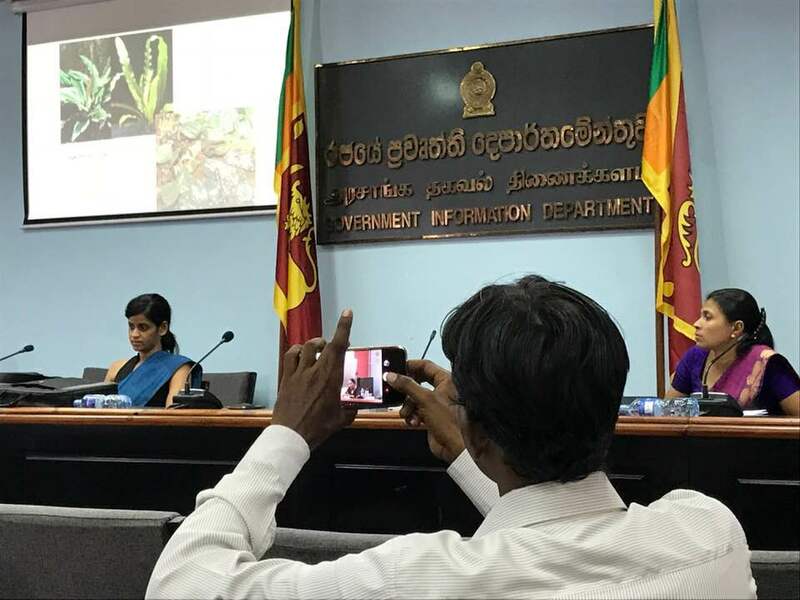 She highlighted the fact that Sri Lanka is one of the few countries in the world blessed with rich biodiversity, but, how the citizens have taken it for granted due to both a lack of knowledge and due to selfish human activities. 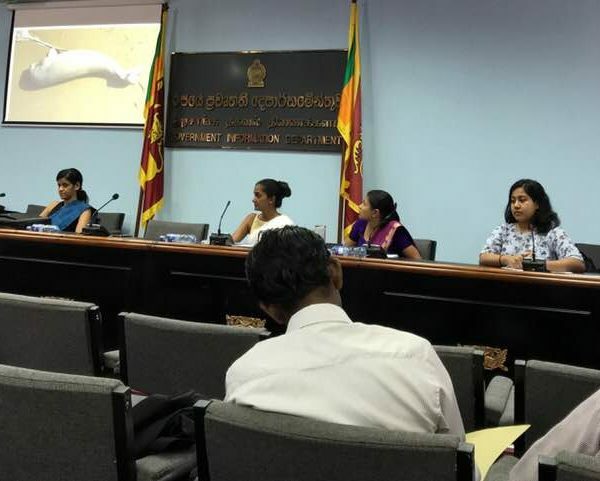 Dr. Sevvandi explained Sri Lanka’s biodiversity with various environmental aspects starting from the sea, its overwhelming plastic pollution, growth of echinoderms and then moving on to rivers and water resources within the land to mountains to highlight to what extent each of these sections of nature is threatened by environmental injustices. 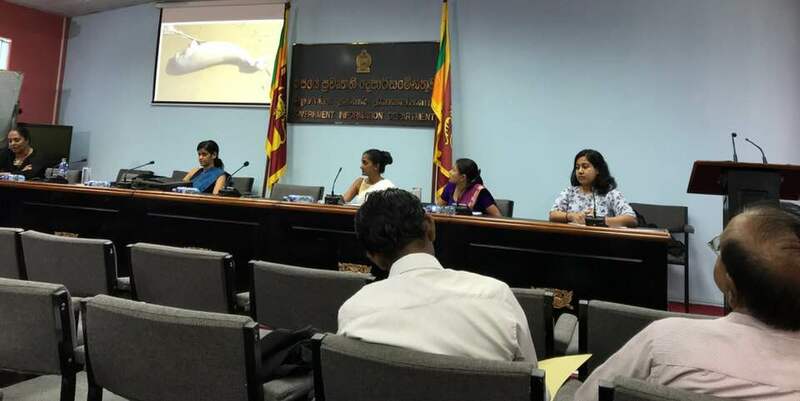 She also emphasized on how humans use plastic during festivals and celebrations in Sri Lanka without realising the environmental harm they cause. The discussion then moved on to how EFL challenges many environmental matters through legal means. 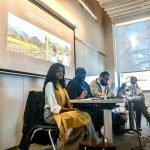 EFL’s Head of Legal, Anushka Gunawardena, (attorney at law) clarified that EFL is a public interest litigation firm where it files court cases against environmental matters only under public interest. She also explained that resolving environmental problems through legal means is the ultimate measure taken by the organisation followed by the failures go through measures such as mediation or the inaction from relevant authorities. 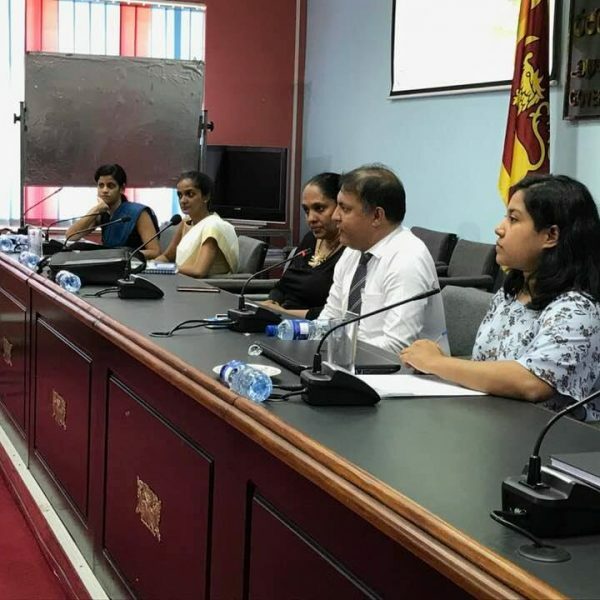 Furthermore, she mentioned that, some of the significant court cases by EFL such as maintaining Galle Face Green as public utility, initiating vehicle emission testing indicate to what extent the legal action can protect the environment and safeguard public interest. 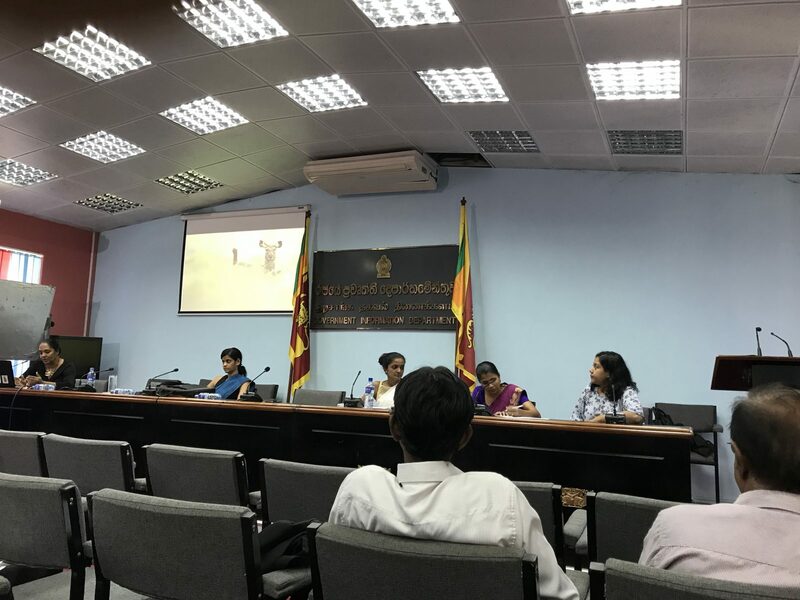 Lasantha Withanage, another attorney at law in EFL, elaborated on the current cases carried out by EFL, to emphasize different issues handled by EFL with an unbiased approach, solely addressing the harm done on the environment. The session continued with Dr. Chathurangi Wickramaratne, EFL’s Head of Science, presenting the current research projects carried out by EFL, equally indicating different aspects of the environment that requires conservation measures at present. 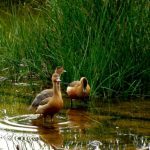 She mentioned about projects related to protecting Sri Lanka’s bio diversity, reiterating that Sri Lanka is one of the few countries in the world that owns a rich and vast biodiversity. 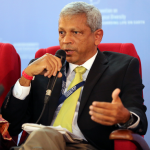 Finally, the Director General of Government Information, Attorney at Law, Mr. Sudarshana Gunawardana addressed the session by encouraging all journalists to report more about environmental issues in Sri Lanka to raise awareness among all Sri Lankas. He also emphasized that due to environmental degradation globally, reporting about matters related to the environment should be more prominent and given more attention.